When I finally retired at the end of 2013 I had already made a start on it's second restoration by getting the engine going after being silent for over 12 years. Fortunately it sounded as good as ever; I had rebuilt it meticulously back in 1980. I have tried to contact the previous owners but without success. The logbook and records kept by British Motor Industry Heritage Trust indicate that it was purchased from the Cleveland Car Company Ltd in Darlington by a Christopher McAndrew who lived at Dilston House, Aldbrough St John, Richmond, Yorkshire, the car's first "home". The McAndrew name is not uncommon in the Darlington area. Dilston House is a substantial property, and can be seen here. 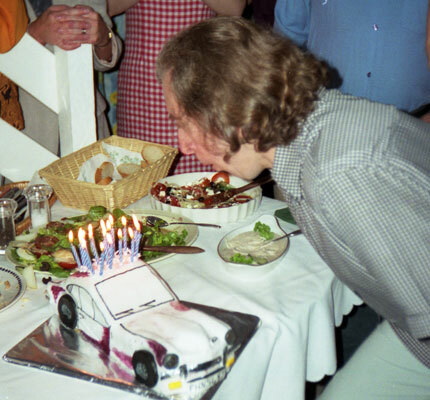 The car has now been in Chester for two-thirds of its 48 year life and I have owned it for 38 years. issued in Darlington in or after August 1970. Above, the original key as per the British Motor Industry Heritage Trust certificate. As the car used to be my main transport, reconditioning the original engine was not an option, so I obtained a spare engine though my friend Stephen Pilkington (below on the right outside my house with his MG), reconditioned that at my leisure, and changed over a week-end (13/14th December 1980) with the help of Stephen and another good friend Tony Smith. 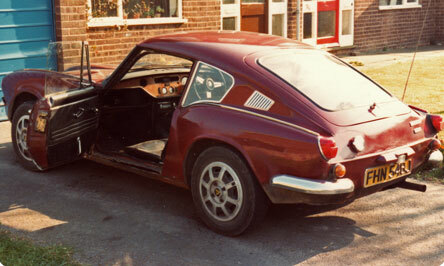 The engine was a 2.5 litre from a scrapped 1972 Triumph 2.5PI saloon for which I paid the sum of £10. At the time I don't think many GT6s had been uprated in this way, now it is more common. The bigger engine weighs 14 lbs more than the standard engine (approx 190kg versus 183kg, dry) because the longer throw crankshaft is more substantial. Not original, but at least these engines are period! A mistake I made was when I moved from Ruthin to Chester in 1987, I took the original engine block to the dump in Ruthin, so I can never refit it to keep the numbers 'matching'. Now, 39 years later I can claim that the current engine is untouched since its sort of 'period' rebuild - the last Spitfire rolled off the production line in August 1980 and the Triumph Car Company soldiered on until 1984. This needed reconditioning, and I wanted to upgrade to overdrive. To this purpose I obtained a D-Type overdrive gearbox from a GT6 Mk3 I and a friend broke up. In the event I decided to upgrade to heavier duty items to take the increased torque of the bigger engine. To this end I had Mike Papworth build me a heavy duty gearbox with stronger components from later Triumphs, in a rare aluminium alloy casing, of which Canley Classics made a small batch. I asked Mike to number this KC81742 after the missing engine! This was matched to a later J-Type Laycock de Normanville overdrive, which is also stronger than the original D-Type. None of these are period, but most components do come from 1970s Triumphs. Fitting J type overdrives to the GT6 is not straightforward, but Mike had the expertise to know how to do it so it fits, using a standard GT6 Overdrive propshaft (which he supplied brand new). Although the body will have been restored twice, once in 1980 and again in 2016/17, almost without exception genuine Stanpart or Heritage panels (the latter allegedly made using original press dies) have been used. GT6s with totally original bodies are becoming exceedingly rare (and will become rarer), due to the prevalence of the 'tin worm'. 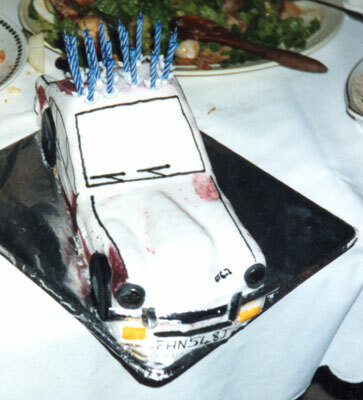 The original colour was damson, which I didn't like at all! A fellow Mk2 owner I used to know who lived in Coepoeth had a white one which I saw once in Ruthin. I thought the colour really suited the car. 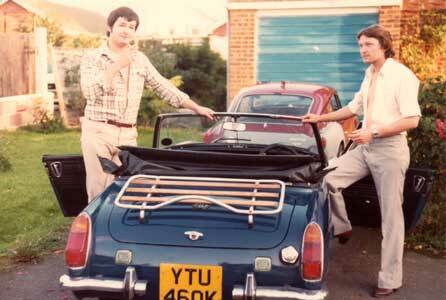 I also remember seeing a white TR5PI in a Triumph showroom in Birkenhead around 1969, which I loved! 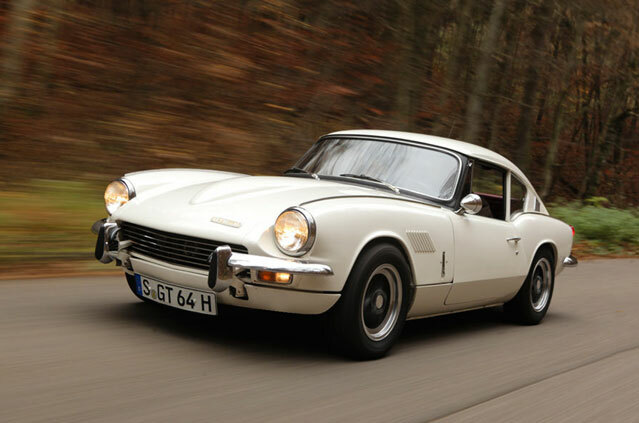 The beautiful car below features in a German magazine called Autobilde in an article called "Driving Report: Aston Martin DB6 and Triumph GT6" and shows how I intend my car to look when it's finished. 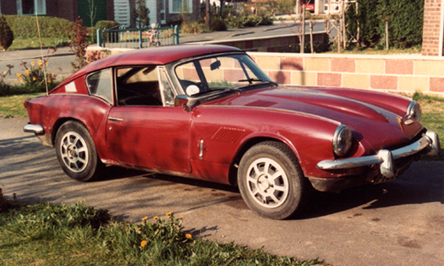 Hopefully with Southside Classic & Custom really achieving excellent panel gaps it should look just as good as this. I have completely renewed the wiring loom, making a custom one to suit any modifications with modern cables and a proper multi-fuse box for safety. To be honest, I don't see the difference between updating the wiring of a classic car and a historical property. Both need to be safe in the 21st Century. As I wanted the reliability of electronic ignition I've upgraded to a brand new 123+ distributor, which has the benefits of being programmable by bluetooth, and also having a built in immobiliser for theft prevention. I have kept the original ignition components so the car can easily be changed back to standard specification. 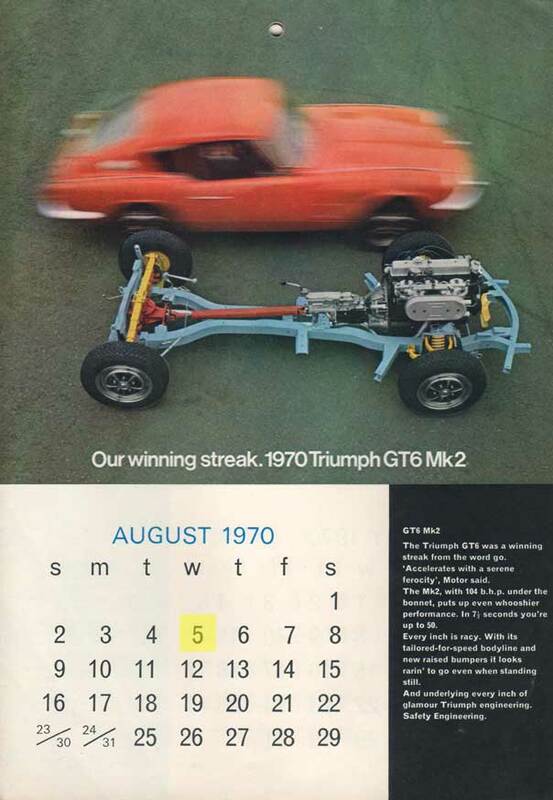 Below 1970 Triumph Calendar showing the date the car was made!